Occasionally Thingiverse comes up blank. There’s comedy value there, I just have to figure out how to make it work semi-procedurally. 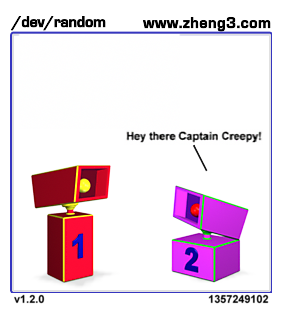 This entry was posted in /dev/random and tagged captain creepy, comics, python, robots on January 4, 2013 by zheng3.